IF YOU’D LIKE TO PERSONALISE YOUR GIFT BUYING SOMETHING DIFFERENT CONTACT HER BEFORE PROCEEDING TO WITH THE ORDER. 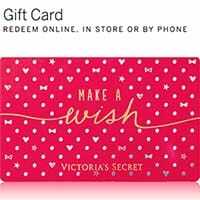 GIFT CARD TO “VICTORIA’S SECRET” SHOP IN MILANO. I CONSIDER ALSO THE POSSIBILITY OF A PERSONAL SHOPPER ONLY IF I SURE YOU’RE REALLY WILLING TO SATISFIED MY WISHES. 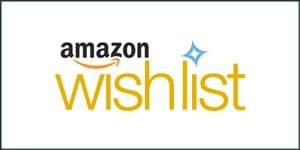 VISIT THE AMAZON WISHLIST AND TREAT HER SOMETHING SPECIAL TO INCREASE HER SHOES COLLECTION. LINK ON THE ICON OR CLICK “HERE” TO PURCHASE A GIFT CARD USING MY E-MAIL AS “RECIPIENT”.
! PAY ATTENTION ! : TO PURCHASE A GIFT CARD DON’T USE THE USA CIRCUIT, “AMAZON.COM” IT’S REALLY UNCOFORTABLE BECAUSE THE FEES. SHE LOVES TO BE TOTALLY COVERED BY LEATHER, SKIN TIGHT LATEX, ITALIAN SHOES, STRAIGHT CORSETS, NYLON ZENTAI SUITE AND LEGGINS.